I do, however, remember throwing up a few days later and I'm also sure my brother was sick as well. It was obviously some form of food poisoning. Man, do I remember going to Chuck E. Cheese's (CEC) on the weekends. When I was growing up, all the kids would have their parties at CEC. I don't even think it's because we genuinely liked Chucky (the rat), but rather because we liked the last party we went to so we wanted to do the same. Here's what I remember from CEC; we'd walk in and there'd be a giant play structure to one side, a pizza bar, an arcade, and then the party area where each party had its own tables. There'd be a huge stage with the animatronic robots. Honestly, those were creepy then and they still are to this day. My brother actually had one of his birthday parties at CEC once. We ordered the pizza, cut cake, played games, etc. I do, however, remember throwing up a few days later and I'm also sure my brother was sick as well. It was obviously some form of food poisoning and my mother claimed it was his Batman cake because there was "so much dye on it." I believed that then, until a few weeks ago when the CEC Pizza conspiracy theory started going around. And I'm 100% sure. The pizza was definitely recycled. For those of you who are confused, just hold tight. I'll explain. CEC is under fire right now because YouTuber Shane Dawson recently made a documentary on it because he claimed the pizzas were "recycled." If you've been to a CEC and ordered pizza, you probably know what that means. Or if you don't remember, here's the gist. Search up "Chuck E. Cheese pizza" on Google right now. Look at any picture. None of the pieces line up, do they? Some slices are bigger than others, with the difference being too drastic to ignore. The pepperoni probably doesn't line up on some of the pieces either. And here's the theory. Let's say there's a party and there are two slices of leftover pizza. The theory is, the worker will take those slices to the backroom, and use them to make another pizza for another order. The zombie pizza is then reheated and served. Quite disgusting, huh? It explains a lot about the pizzas. Now does this mean all branches follow this? Not at all. Many ex-employees and current workers have come forward to say they don't ever do this. However, some workers have also said it varies per branch and some of their managers use that practice to "save money and resources." This sounds like an FDA violation. Why don't all branches follow the same protocol? It's terrifying and sickening. Now me and my brother being sick could have actually been because of the cake but it could have also been because of the pizza. Several people have claimed they've gotten sick after eating at CEC and I don't see why they wouldn't be. As a whole, CEC is pretty suspect. I mean think about it, don't you think it's a little weird taking your kids to a rat themed pizza place/arcade? I'm not just saying that because I live in the NJ/NY area, I think it's legitimately weird that a rat is the face of a pizza place. It promotes gambling. When I was a kid, we'd use tokens. Even if you lost, the game would give you a ticket and you'd use that motivation to continue playing. You could end up with 300 tickets and only get a slinky or a cheap sticker. The "good" prizes would be worth 7,000 tickets. Trying to get 7,000 tickets meant numerous visits. Child gambling is disgusting. Parents have complained that the play structures are never cleaned properly and that it's often very gross. All I know is, Chuck E. Cheese has some serious explaining to do. And you'll never catch me taking my kids to CEC (if it still exists in the future). You had me at brunch! Who doesn't love a BIG chicken biscuit, home fries, and bottomless mimosas?? 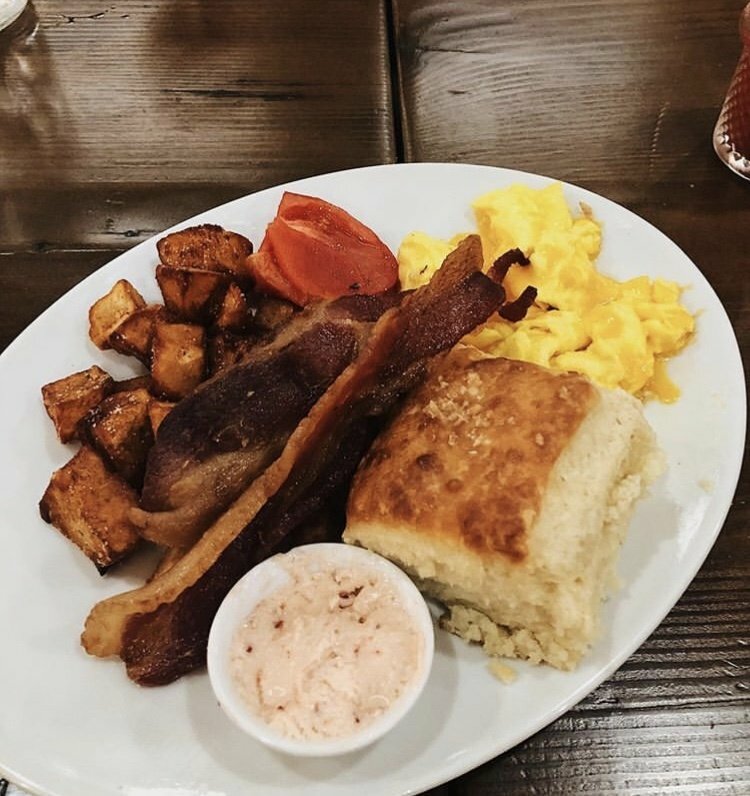 If you live in Charleston, you know it's the hot spot for brunch! 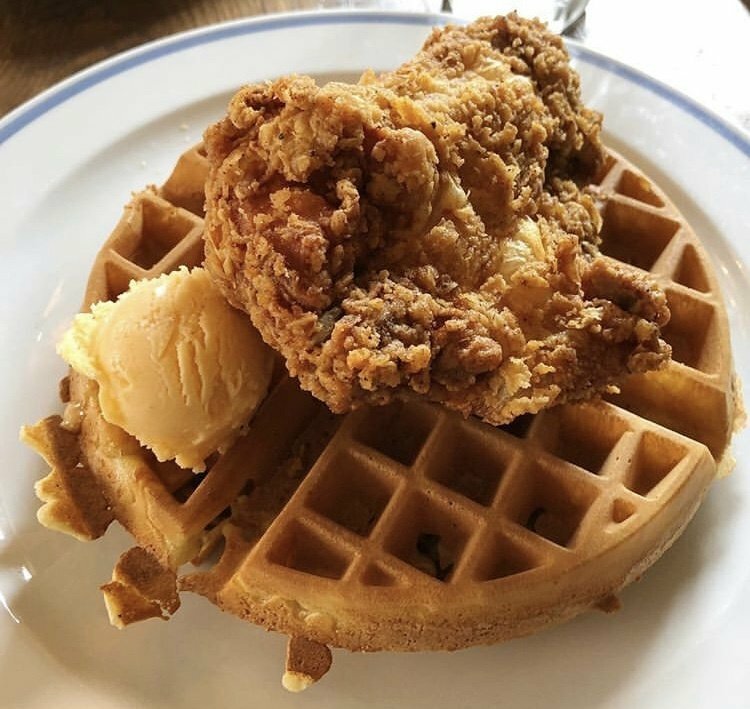 Whether you just want a good meal, a good insta picture, or both, here are 5 brunch spots you have to try! Tucked away on Queen Street is a beautifully restored Victorian house that serves brunch and dinner daily. By far the best Chicken & Waffles I've ever had! But, if you're not a fan of that, then I highly recommend the Down Home Breakfast. 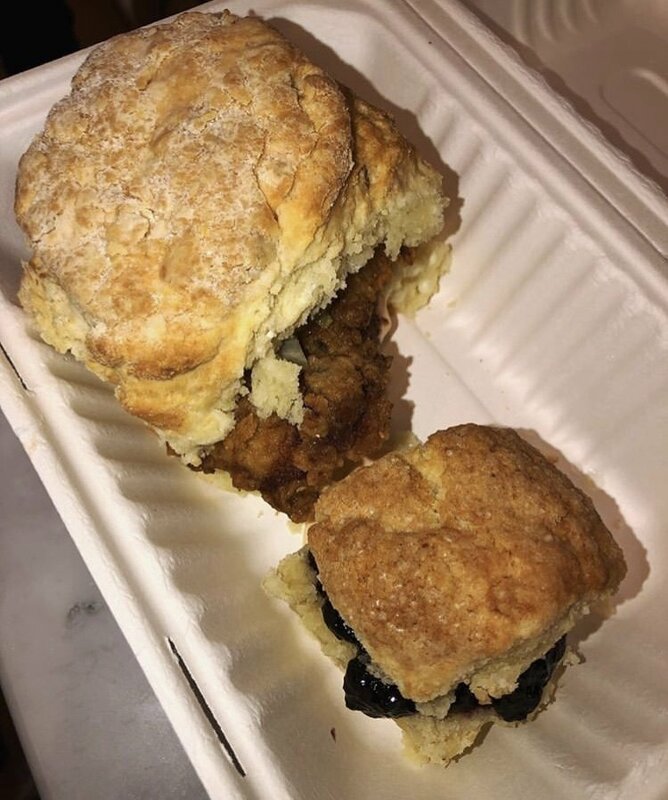 The service is always amazing and you get fresh biscuits while you wait for your food! Located on lower King Street, Millers All Day server's breakfast ALL day. The restaurant opened in 2018 and it's been busy ever since. I HIGHLY recommend you check this place out! I always get the Millers Plate, which has two eggs, bacon, home fries, and a biscuit. Now I've only been here once, but it was SOOO good! It's located at the corner of Horlbeck Aly and Meeting Street and is always popping! 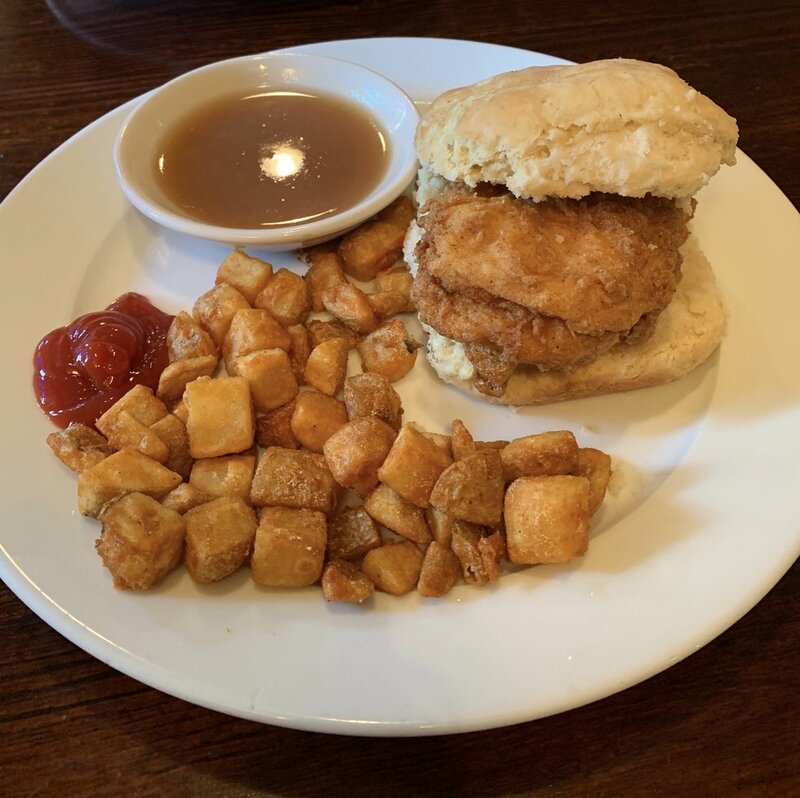 When I went I got the chicken biscuit with home fries, and let me tell you I was blown away. It comes with a sweet tea glaze to dip the chicken in AND the biscuit is HUGE! Located right in the heart of College of Charleston's campus is every college students favorite restaurant. They serve anything and everything. Before class every morning my friend and I get a bagel, but on the weekends we get brunch. Now their brunch menu has all sorts of things, but we always get a chicken biscuit and potatoes. No joke, their chicken biscuit is the size of your face! Do you like biscuits?? Callie's has biscuits of any flavor or sandwich you want. My favorite is the cinnamon biscuit!! They're the perfect size for you to eat 4 at a time. Seriously once you have one you can't stop. 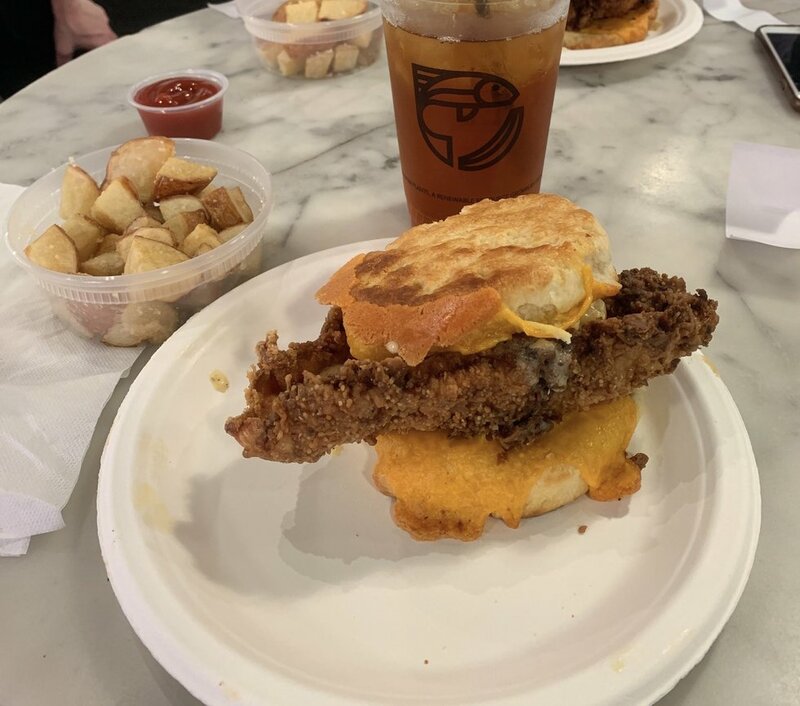 If you haven't noticed I love biscuits and I never stray away from it, but I hope you get to try some biscuits and other things when you visit these places!! Enjoy your brunch! !